I just want to inform you of Fair Share report. We are currently at 93% of our goal. SWASAP as a whole is at 99% which is number one in the country. We still have much work to do in the great state of Texas. SWASAP will have a Regional Phone-A-Thon’s scheduled for Monday, May 7, 2018. The purpose of this phone-a-thon is to reach out to non-members who have expired membership and to reach out to members whose memberships expire between July1-December 31, 2018 and to let you know that the invoices were mailed in April and that if they pay their membership before May 31, 2018, you will receive a $300 DISCOUNT. This is a critical time for TRIO. It is important we stand together as we face both milestones and threats to funding. 1. In March, TRIO received a $60 million increase which means a 6% Increase across the board for all TRIO programs. The TRIO budget for the first time is over a billion dollars (S1.01 billion). 2. We are in the fight to defeat the President’s recommendation to eliminate the SSS, McNair Program and EOC and block grant all TRIO programs to the states… all TRIO programs must help defeat this because if not …your program will be the next TRIO program slated for elimination. 3. We are also fighting to defeat the Promoting Real Opportunity, Success, and Prosperity through Education Reform (PROSPER) Act that will eliminate prior experience and require a 20% match for all TRIO programs. Your membership dues help to ensure that funding and policy, work together to keep TRIO viable and strong! President-Elect Nancy Zamora and the Executive Board will be reaching out to programs to consider becoming an institutional member. Please do not hesitate to contact the Board if you have questions about Fair Share. Let show the community that TRIO WORKS in TEXAS. When you renew your membership go to Twitter, Facebook, Instagram, or Snapchat and use #WeAreTXTRIO #TXTRIOSTRONG to show your support to COE. We thank you for being an active member of this great Texas TRIO Association. This afternoon, President Trump signed the $1.3 trillion FY18 omnibus appropriations bill into law. This legislation, which passed the House by a vote of 256-157 (http://clerk.house.gov/evs/2018/roll127.xml) and passed the Senate by a vote of 65-32 (https://www.senate.gov/…/roll_call_…/roll_call_vote_cfm.cfm…) guarantees a $60 million funding increase for Federal TRIO Programs for a total appropriation of $1.01 billion - the high watermark in the history TRIO! As no grant competitions are scheduled for the 2018-2019 program year, this increase will translate into approximately a 6% increase for each individual grant award. 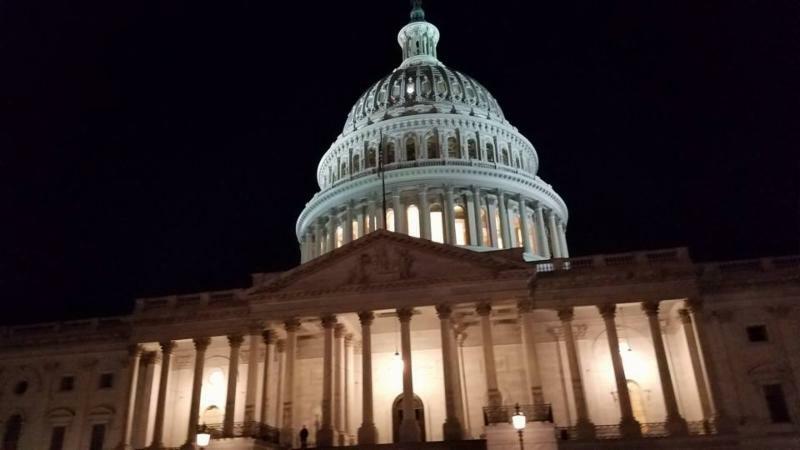 The legislation also includes report language that directs the Secretary of Education to review applications rejected for minor technical issues in all 2017 grant competitions. In addition to this important increase for TRIO, the legislation includes many other significant increases for low-income students, including a $10 million increase for GEAR UP for a total funding level of $350 million (and a legislative directive instructing the Secretary to host grant competitions for state and partnership grants in FY 2018); a $175 increase in the maximum Pell Grant award (for a total maximum of $6,095); a $140 million increase for Federal Work-Study for a total funding level of $1.13 billion; and an additional $107 million for the Supplemental Educational Opportunity Grant program receives, for a total of $840 million. This legislation represents an enormous victory for low-income, first-generations students in TRIO and beyond. It would not have been possible without the unwavering commitment of advocates like you. Please take a moment to call and thank your legislators who voted in favor of the FY18 omnibus bill. As always, thank you for your support and advocacy on behalf of low-income, first-generation students. TRIO is in need of leaders at every level. Whether it be to volunteer to serve on a committee for the board, to reach out and start collaborating with TRIO programs in your area, to invite those programs who have not yet sat at our table to stay updated on the things we are doing, and to reach out to the newcomers that have joined the fight for equal educational opportunity. Every person working in TRIO, has a place at the TRIO leadership table. The tireless efforts you put forth for your students call for each of us to sharpen our skill sets and get involved outside of our offices. Iron sharpens iron. We have too many talented individuals to not be collaborating more than we are, and to not have a stronger communication chain across the state. With leadership comes new opportunities, you get to enhance the services we provide for our students,and enhance the resume you carry with you through your professional career.Should it tug your heart to do more, should you be called to collaborate in your areas, or at the state, regional or national level, please do so. Human progress is neither automatic nor inevitable... Every step toward the goal of justice requires sacrifice, suffering, and struggle;the tireless exertions and passionate concern of dedicated individuals. – Rev.Dr. Martin Luther King, Jr. THANK YOU for the amazing work you continue to do for our students, and thank you for your dedication to the TRIO mission. We hope to see you all soon! For those of you asking about how to pay for Policy Seminar this year, here is a very useful link that explains how to pay within regulations as well as all the other important questions you may have. Now more than ever its important to get involved and be a part of the fight to keep TRIO alive! As a reminder for those of you planning on having a 2018 TRIO Day, you can request funding of up to $1,000.00 from the Texas TRIO Association. Please make a note of this now, details are on the way! As a reminder, the Texas TRIO Scholarship will open February 1st, and we encourage you to have your students apply! Please look out for an update via email soon. News from the North Zone- Kilgore Colleges "I'm First Event"
Kilgore College SSS hosted an "I'm F1RST" recognition celebration on November 8, 2017. The event focused around celebrating first generation students, faculty and staff at Kilgore College and included information tables, and a special event for their fall graduates. To the left are a few photos from the event. Major shout out to Kilgore, keep up the great work! Is your program/office doing some phenomenal work you would like to be recognized for? Please send Ray Cordero an email raycordero@txstate.edu with photos and information you would like highlighted. Each month the Texas TRIO Association will feature one program from the North and South Zone highlighting the work they have been doing. Greetings from your 2017-2018 TASSSP President! This year we are off to a great start! Your TASSSP Board and I would like to thank all of you for all the demanding work you do each day for our students. Congratulations to our Immediate Past President Priselda Perez and her Conference Chair Brad Gifford and his committee on a job well done! Our 44th Annual Conference in Tyler was one of the most successful conferences TASSSP has had. In addition, your Texas TRIO representatives participated in one of the highest attended COE Annual Policy Seminars ever. There were over 740 TRIO Professionals and Alumni in D.C. lobbying for our students and programs. 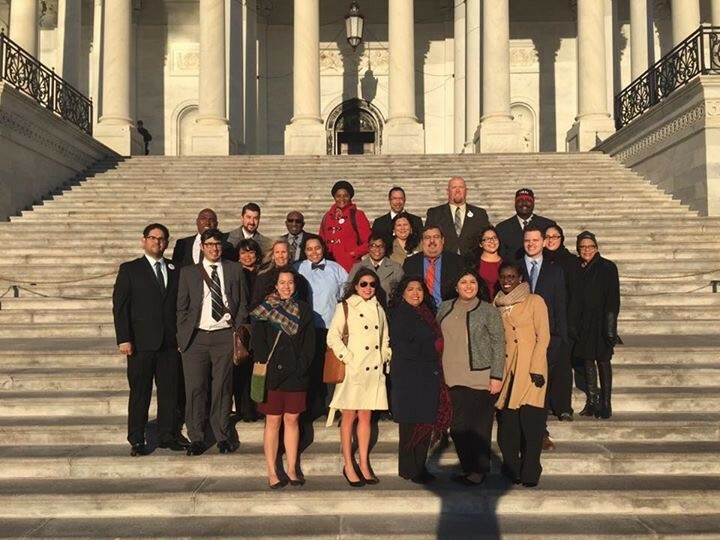 Texas had over 30 TRIO Professionals and Alumni on "The Hill" Fired Up and Ready to Go!Thirty-two TRIO Professionals and Alumni attended 2017 Policy. Our goal for 2018 is to have at least 50 in attendance! On April 28, we will be visiting our Texas State Capitol for a day with over 200 TRIO staff and students in attendance. We will be touring the Capitol and learning about the legislative process while exposing state representatives to TRIO programs and students. build an TRIO Alumni Association for graduate and former TRIO students to network and advocate for TRIO programs. If you have any ideas or suggestions on how we can accomplish our goals, please email me and I will share them with our board. Remember the work that you do daily is making a tremendous impact on the lives of many students. 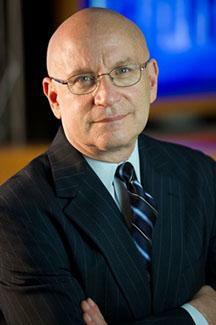 Stan "The Budget Guy" Collender addresses critical budget issues facing TRIO. It always insightful to hear Mr. Collender address fiscal topics and issues involving our government. This year "The Budget Guy" mentioned the looming debt ceiling deadline coming April 28th, the GOP attempt to repeal & replace the Affordable Care Act, and he emphasized taking President Trump's proposed budget seriously. He seeks to drastically decrease discretionary spending by 25% to fund the U.S. military. In regards to the debt ceiling, he stated there is a real possibility for another government shutdown. Through these topics, Mr. Collender emphasized the importance of national advocacy. He stated it is making a difference and congressional members are listening. He stated we need to convey to congress how these cuts will impact students who need TRIO programs. We thank Mr. Collender for supporting COE and our programs. TASSSP Policy Team in Action! The Policy Team of T.A.S.S.S.P. TASSSP, we want to recognize the members of the 2017 TASSSP Policy Team. We are sincerely grateful for their advocacy and leadership. The alumni were truly amazing! Each of their stories demonstrated that TRIO works in Texas. All of them truly make the difference in DC as in the communities. Thank you all for a successful policy seminar! Our fight has just begun! TRIO WORKS! Congressman Mike Simpson (R) of the 2nd District-Idaho was the keynote speaker during the Tuesday morning plenary at Policy Seminar. The congressman demonstrated how important TRIO is to him by skipping out on the Republican House Representative meeting scheduled with President Trump. This was met with roaring applause by the audience. Congressman Simpson stated he does not support the skinny budget of President Trump. He recognizes thousands of low income and first generation students would be adversely impacted by these cuts. Congressman Simpson verbally pledged to fight the cuts. It was assuring to know TRIO has the support of both sides of the aisle. San Antonio Alliance proves TRIO WORKS! TRIO professionals from UT San Antonio, Trinity University and Communities in Schools of San Antonio as well as a current McNair Student from UTSA were able to speak with the offices of Congressmen Lloyd Doggett (D - District 35), Will Hurd (R-District 23), Henry Cuellar (D- District 28), Vicente Gonzalez (D - District 15), Joaquin Castro (D District 20) and Lamar Smith (R - District 21). 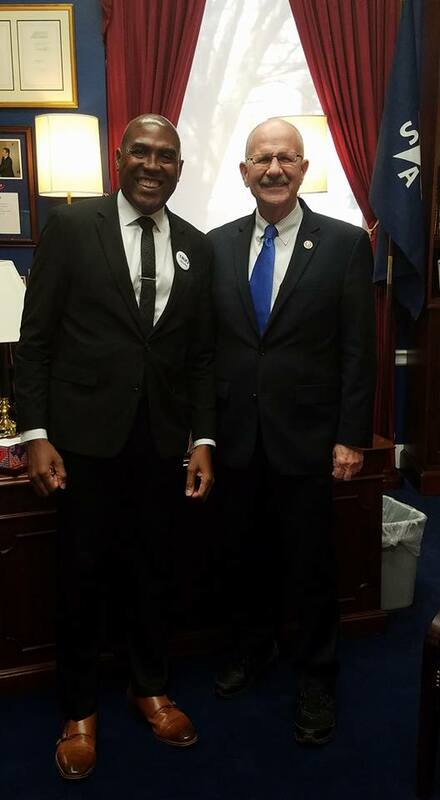 Overall it was a great experience with every congress member except Lamar Smith saying that they supported TRIO and believed that we are doing great things with low-income, first generation students. Several staff members also expressed interest in their representatives joining the TRIO caucus, however none gave definitive answers. 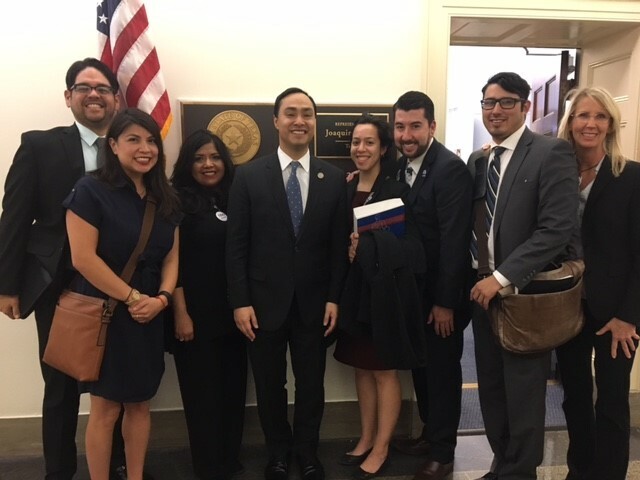 We were fortunate enough to meet with Rep. Castro in person, and he was incredibly supportive of TRIO and expressed his personal interest in joining the caucus as well as making time to come and visit our programs in person. 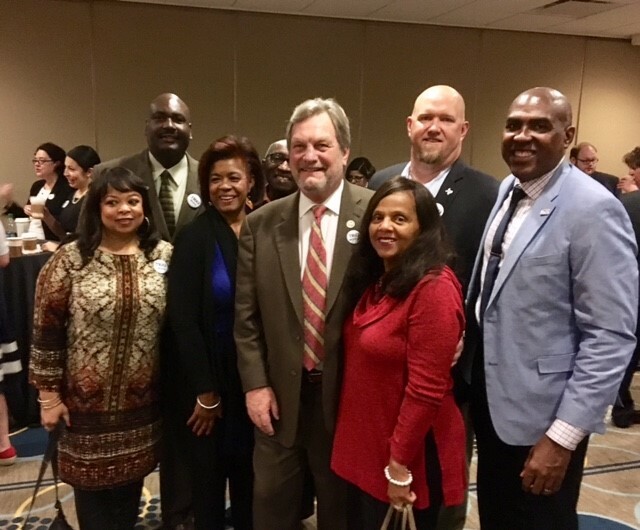 We definitely left with an overwhelmingly hopeful feeling that our state representatives are fully behind TRIO and everything we do for our students! Current T.A.S.S.S.P. President-Elect Al Bacon had the opportunity to visit with Representative Ted Poe (R-District 2). 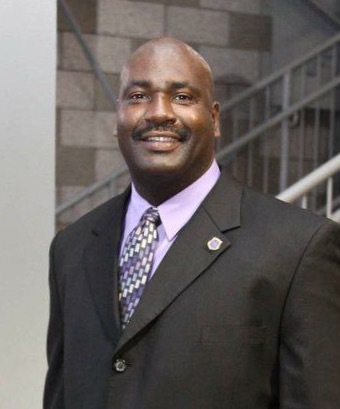 Mr. Poe expressed his support for education and strongly believes it is the great equalizer. The Congressman recognize President Trump's skinny budget would adversely impact the students who depend on TRIO programs. He firmly believes the proposed budget will not stand. We thank Mr. Representative Poe for taking time of his schedule to visit with our team and we hope to add him to our list of TRIO championships. TRIO Champion Congresswoman Shelia Jackson Lee pledges support for funding! The TASSSP Policy team of Houston had the opportunity to meet with Congresswoman Shelia Jackson Lee-(D-18th District). She remains one of the steadfast supporters of TRIO programs. She vocalized her disappointment in the proposed budget by President Trump. She firmly believes programs such as TRIO are vital for student success. 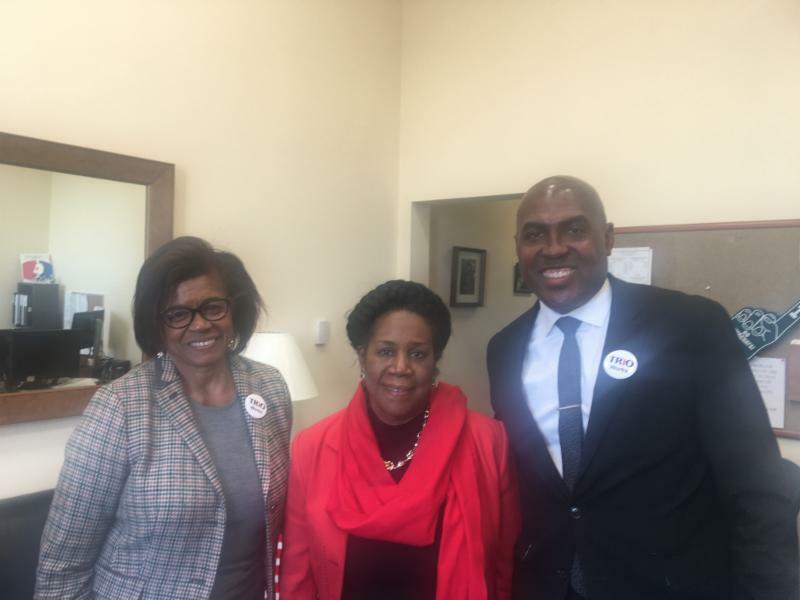 We thank Representative Jackson Lee for her leadership and support of TRIO.